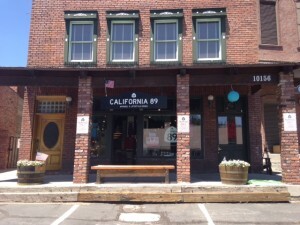 CA89, a Must-shop Stop in Truckee! If you have any plans to be up in Tahoe this summer (or anytime) you have to stop in at CA89, in old town Truckee. CA89 is the brain child of Lisa Gotts, an Oakland resident and long time Truckee homeowner and fan. Lisa has been skiing here for many years and was a ski instructor at Squaw Valley. She worked for Sunset magazine most recently in advertising sales and other notable magazines like Outside, Vogue and Elle. CA89 is the next step in her professional ascent. Jason Spruit is the uber- capable Store Manager and just relocated to Truckee from Detroit. 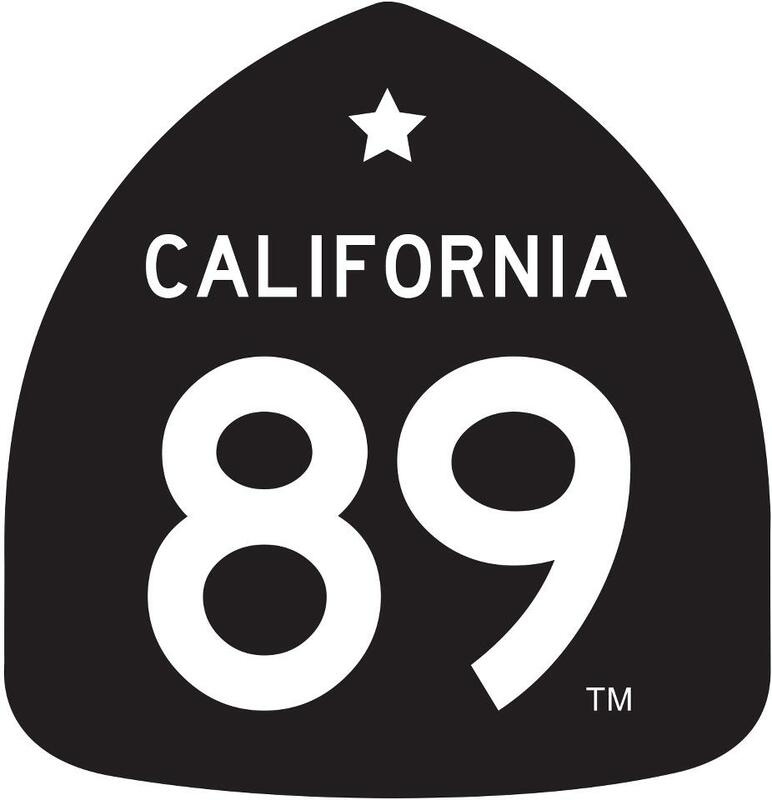 CA89 is an iconic stretch of road in eastern California that is well known and well loved. Lisa developed a logoed brand of merchandise based on that scenic highway. 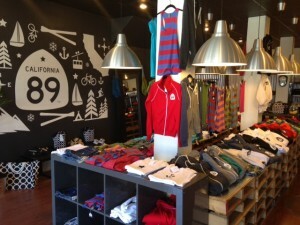 According to Lisa Gotts, not many stores locally focus on apparel and lifestyle goods that highlight the Sierra life. Her store’s apparel ranges from t-shirts and hoodies to dry-fit shirts and outerwear. Along with clothing they also have a wide selection of accessories such as pint glasses, notebooks, key chains, and hats/beanies. The store opened earlier this year to much anticipation and fanfare. CA89 is located at 10156 Donner Pass Road in the Brickeltown part of old Truckee. It’s across from the train depot, still operating, in a historic, charming old building. The modern fixtures and black and white color scheme meld perfectly with the old exposed brick inside the space. Lisa’s keen design aesthetic is clearly on view in the store. 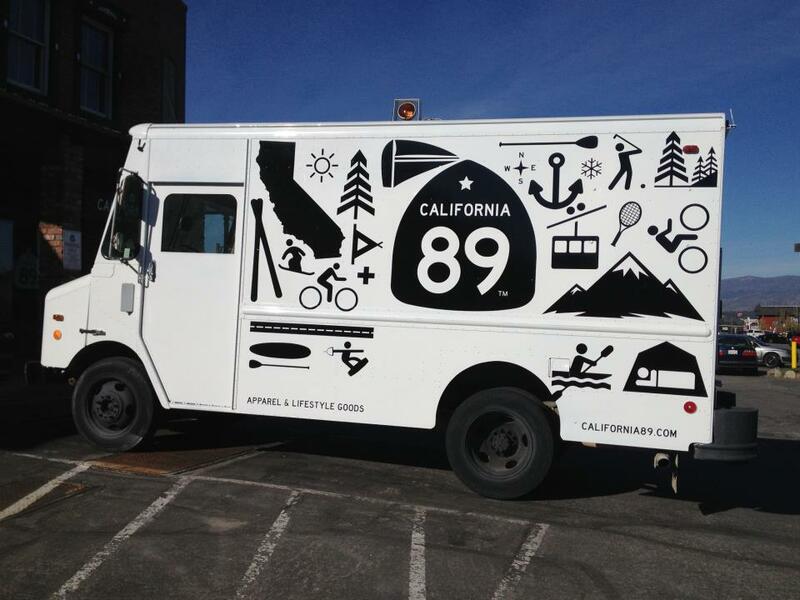 In addition to the great retail space, CA89 has a great mobile retail store in the form of their panel truck. It was great to see it roll down the street as part of the annual Truckee 4th of July parade! The CA89 crew can take their truck to all the different events around the Tahoe basin, like concerts, triathalons, art & wine festivals and much more. It really shows how may different ways you can promote and market your brand. In addition to the regular store hours, CA89 invites the community to summer movie nights on the lawn in the back of the store. They show outdoor movies (bring a low back chair and $2) every Thursday and Saturday night at dusk. No worries, there will be plenty of popcorn to go around! 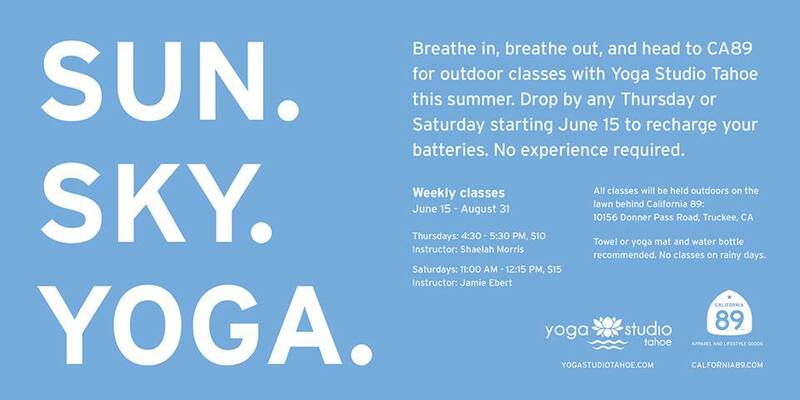 There is also a yoga class every Thursday from 4:30- 5:45pm and it’s $10 for the class. 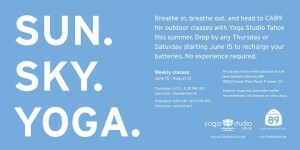 This is offered in conjunction with Yoga Studio Tahoe. 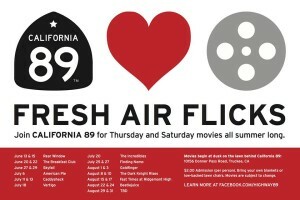 So if your summer or winter plans include Tahoe, make sure you stop in to CA 89 and tell Lisa and her crew I sent you! Summer hours are 10-6pm daily. Don’t forget to “like” CA89 on Facebook… Happy summer everyone! This entry was posted on Wednesday, July 10th, 2013 at 2:20 pm	and is filed under Men's dressing, Products, Shopping, Stores, Uncategorized, Womens dressing. You can follow any responses to this entry through the RSS 2.0 feed. You can leave a response, or trackback from your own site.